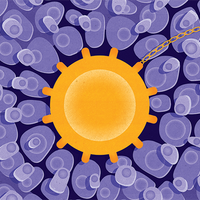 Researchers continue to identify new T-cell subtypes—and devise ways to use them to fight cancer. The Scientist attempts to catalog them all. New types of T cells seem to pop up in the scientific literature with increasing frequency. 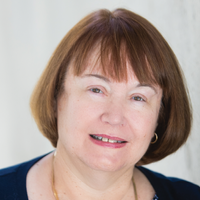 Just this June, for instance, University of Melbourne immunologist Angela Pizzolla and her colleagues described a type of tissue-resident memory T (Trm) cell in the nose that, unlike other Trm cells, can develop from “killer T cells” without antigen exposure or growth-factor stimulation. Trm cells are just one of the subtypes (or subtypes of subtypes) in the growing list of T-cell varieties that scientists have discovered. As researchers continue to probe the immune system in ever-greater detail, they’re learning that this group of cells, once envisioned as a homogeneous group, actually contains many subgroups of cells with distinct characteristics and functions. Here, The Scientist lists all the T-cell types we could find, though we received many warnings that creating such a comprehensive list was virtually impossible. “All I can do is wish you luck in your task,” University of Cardiff T-cell biologist Andrew Sewell says in an email. “When it comes to T cells, we barely know half of it and anything you write will almost immediately be out of date,” he adds, noting that a review article he published just two years ago about T cells classified according to their T-cell receptors was already somewhat outdated. When a pathogen enters the body and starts causing tissue damage, it triggers an inflammatory response that gets the attention of antigen-presenting cells (APCs), which monitor the environment and display bits of foreign proteins that they encounter using the major histocompatibility complex class II (MHC II) molecules located on their surfaces. Once they detect a pathogen, the APCs migrate to the spleen and lymph nodes, collectively known as secondary lymphoid organs, where naive T cells (and other T-cell types) await their call to duty. 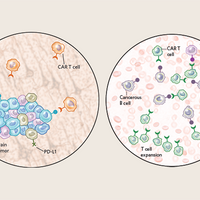 T-cell precursors originate from stem cells in the bone marrow, but T cells mature in the thymus—hence the name “T cells.” Every mature T cell has a cell-surface receptor (TCR) that recognizes a short, nonself peptide (those that recognize self proteins are, for the most part, eliminated), as well as one of two glycoprotein coreceptors: either CD4 or CD8. These coreceptors bind not to the peptide antigens but to MHC molecules. CD4 binds to MHC Class II receptors, found uniquely on APCs; CD8 binds to MHC Class I, found on virtually all somatic cells, including APCs. In the secondary lymphoid organs, APCs display their bound antigens to the CD4+ T cells via MHC Class II. These interactions, combined with signaling molecules in the cell environment, stimulate the CD4+ cells to differentiate into various T helper (Th) cells with functions specific to each pathogen type. One subset of these helper cells—T follicular helper (Tfh) cells—stimulates B cells to produce antibodies specific to the antigen in question. 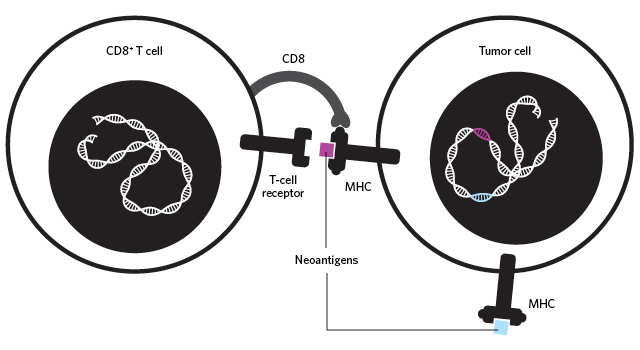 Naive CD8+ cells also interact with APCs, via MHC Class I receptors, triggering their differentiation into what are called cytotoxic lymphocytes (CTLs), aka killer T cells, which seek and destroy cells displaying the offending antigen. 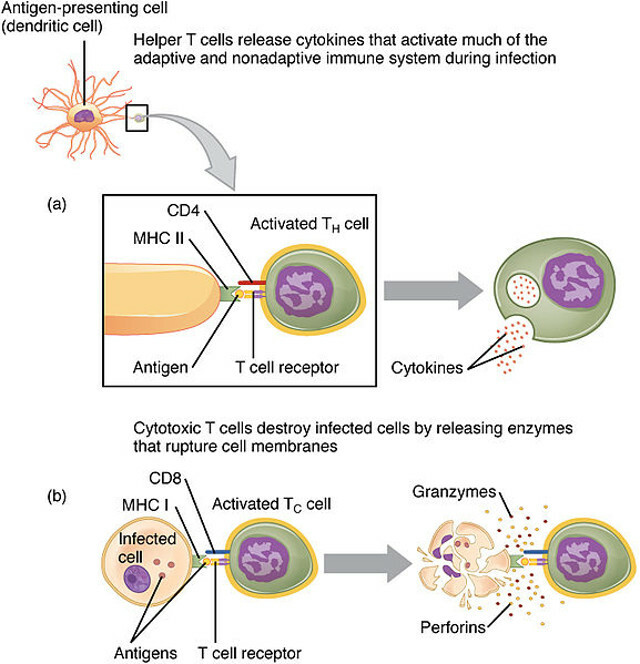 Activation and infection-fighting functions of helper and cytotoxic T cells: Through interactions with antigen-presenting cells, CD4+ T cells differentiate into T helper cells, which produce cytokines that stimulate other immune cells, such as mast cells and macrophages (not shown), to fight the infection; after activation, CD8+ cytotoxic T cells release vesicles containing enzymes that destroy infected cells. WIKIMEDIA, OPENSTAX COLLEGEOnce activated, both the CD8+ killer cells and the CD4+ helper cells migrate to the infected tissue. The helper cells produce cytokines and other molecules to recruit an array of immune cell types, such as neutrophils, macrophages, and mast cells, to help fight the infection, while the activated CD8+ cells bind to the pathogenic cells through the TCR and release cytotoxic enzymes into the “immunological synapse” between the T cells and their targets, inducing apoptosis in the latter. When the infection is under control, most of the newly activated T cells die, but some of them remain as memory cells, which stay prepared to quickly combat another infection of the same type. Whereas activation of naive T cells takes more than a week, memory T cells can respond to a secondary infection within hours. Memory cells, which can be either CD4+ or CD8+, come in several flavors, classified by the areas that they patrol. Effector memory cells travel throughout the tissues and the blood performing their “effector functions” in response to repeat encounters with foreign antigens: CD4+ cells act in their helper roles, while CD8+ cells carry out their cytotoxic duties. 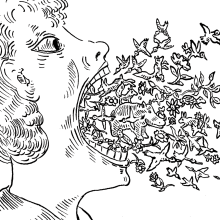 Tissue-resident memory cells act similarly, but develop at the site of an infection and stay there, rather than circulating throughout the body. Finally, central memory cells, which patrol the entire body, focus more on self-renewal (like stem cells) and less on fighting pathogens. As research into categorizing T-cell subtypes and their roles in immune defense picks up, so too has interest in harnessing T cells to treat disease—in particular, cancer. In one type of therapy, known as adoptive cell transfer, researchers expand a population of a patient’s T cells that happen to recognize the tumor, then transfer those cells back into the patient to mount an attack. In another approach, chimeric antigen receptor (CAR) T-cell therapy, researchers engineer T cells to carry receptors that bind directly to a surface protein on a tumor cell and transfer the modified cells to the patient. One such therapy, produced by Novartis to target the CD19 protein expressed on the surface of some leukemias and lymphomas, is on the brink of FDA approval. In July, an FDA panel recommended its approval for the treatment of relapsed B-cell acute lymphoblastic leukemia. A potential problem with these therapies is that tumors are expansions of the body’s own cells, so they present “self antigens,” and one would expect the immune system to ignore them. Conversely, one might also expect that T cells engineered to target tumors could also target healthy tissue expressing the same self antigens. “When you target self antigen, you always have side effects on healthy tissue,” says National Cancer Institute immunologist Luca Gattinoni, “and so the targeting of self antigens is more limited now to molecules that are expressed in spareable tissues” that can be replaced through medical treatment without greatly decreasing quality of life. For example, Gattinoni says, CD19 CAR T-cell therapies target both cancerous and healthy B cells, but antibodies can be administered to replace the depleted B cell population. Another strategy, among many, is to target tumor antigens that have undergone mutations and are thus distinct from the body’s healthy tissue—so called neoantigens. “Some of these mutated proteins in the cancer can give rise [to] peptides that can be recognized by T cells in your body as foreign,” Gattinoni explains, calling this approach some of the “most trendy research right now.” Because neoantigens are considered foreign proteins, therapies targeting them don’t hurt healthy tissue.